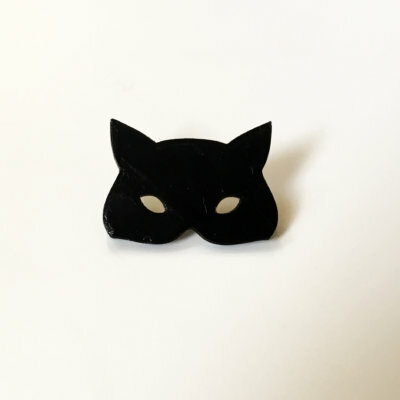 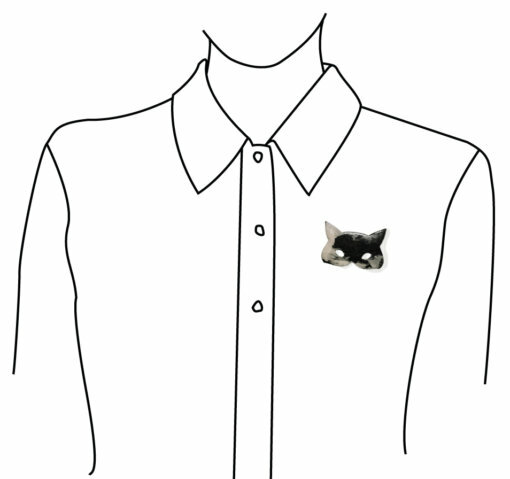 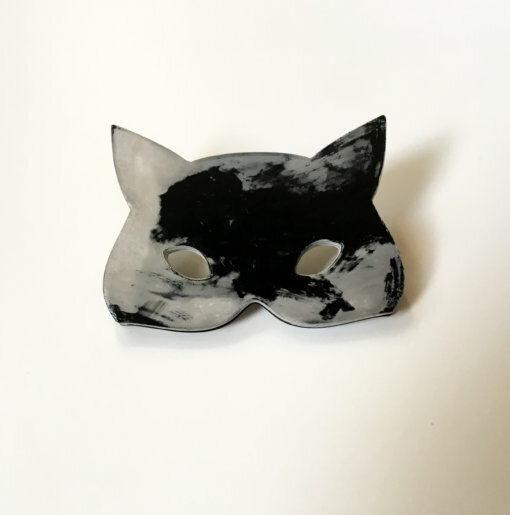 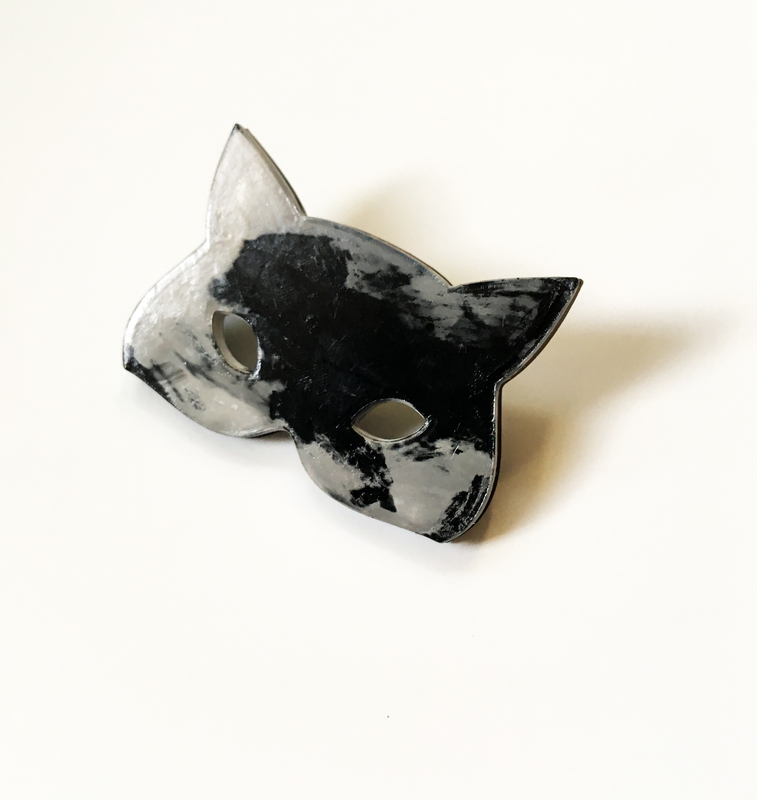 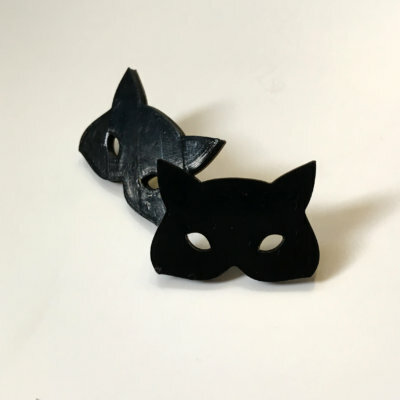 Black and white Wolf mask pin’s. 3D print made in PLA, whit metallic pin. 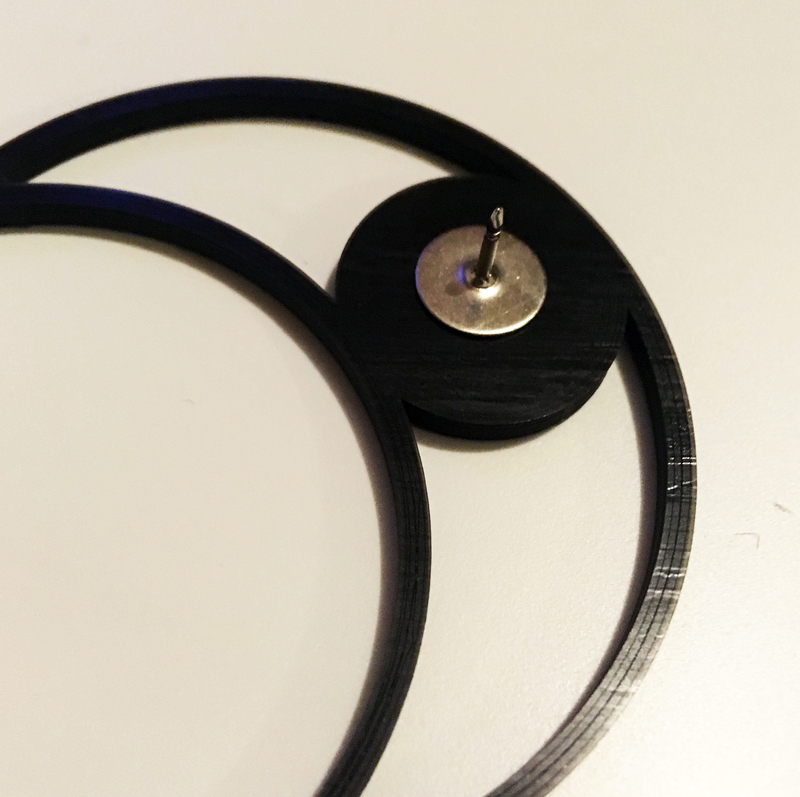 Size: 4,5 cm / 3,3 cm.